Oops! Sorry Obama. I'm so sorry, I'm sooh sorry!! Bill 36 - It hangs around like a bad smell! What happened to this battery? Is Greece the "canary in the coalmine"? FEMA a disguise for US concentration camps? You don't want to stand in front of this one! Editor: The 24th solar cycle due to commence 3 years ago is simply not happening. "Colonel Gaddafi has armed the population. Approximately two million machine guns have already been distributed to the civilians. The idea is that each adult, man or women, should be in a position to defend his or her home. The Libyans learned the Iraqi lesson. Saddam Hussein had rested his power on the Ba’ath ruling party and the army, excluding the people from political life. When the party was decapitated and several generals defected, the State suddenly collapsed leaving the country with no resistance and floundering in chaos. Libya instead follows an original system of participative democracy, similar to the grassroots assemblies in Vermont. People are used to being consulted and assuming responsibilities. Hence, it is easy to mobilize them en masse." Dennis Kucinich lays it on the line: Congress can create money as needed, so why doesn't it? Paul Jay asks Ombudsman Andre Marin who is responsible and who has been held accountable for "the most massive compromise of civil liberties in Canadian history"
Editor: This interview was conducted some time ago, before Howard Zinn's passing. He refers to Al Jazeera's headquarter being bombed. The "Al Jazeera reporting problem" has now been solved: The network has been incorporated into the mainstream media empire and is now being used for propaganda purposes along with the other major networks, specializing in skewed reporting on conflicts in Libya and Syria. GPC for Justice: " so called ICC is a cover for Nato's repeated attempts for the assassination of the leader and his family." GPC for Justice affirms that a so called ICC is a political cover for Nato's repeated operations for assassinating the leader and his family. In its statement issued on Monday, JPC for Justice announced that Libyan government would sue Nato for its crimes.
" Libya is not a party to Roma basic system, so as it does not accept the specialties of ICC , which are a political tool for the blackmail of countries of the third world. In contrast, the powerful countries are fully protected from being threatened by this court, said GPC for justice through its statement. After reviewing the arrest warrants ordered by ICC for three Libyan citizens, whom being unfairly accused of committing crimes against humanity, the committee asserted the follows;. - The leader Muammar Al-Kaddafi and his son Seif al-Islam have no official positions within the Libyan government, so as they are protected from the allegations by ICC's chief prosecutor. - Libya is not a party to ICC's basic system, so it does not accept the specialties of it, which are a tool for exerting the political pressure against the countries of the third world, while the powerful countries are protected from being threatened by it. - The chief prosecutor of the ICC has built his allegations based on forged charges, while he would have to form a fact finding committee or would have to visit Libya himself to stand on the facts. - To sue citizens who are responsible for events of Feb 15.2011, the thing that is a specialization of Libyan courts. A water-filled berm at the Fort Calhoun nuclear plant deflated Sunday, the Omaha Public Power District reported. Apparently punctured by heavy equipment operating nearby, the berm was among several barriers protecting plant buildings from extreme flood conditions on the adjacent Missouri River. "This was an additional, a secondary, level of protection that we had put up," OPPD spokesman Mike Jones told CNN. "The plant remains protected to the level it would have been if the aqua berm had not been added." The plant remained under an unusual event declaration, the lowest of the Nuclear Regulatory Commission's four-tiered emergency classification system. The plant's 500-megawatt Combustion Engineering pressurized water reactor has been out of operation since refueling in April. Downstream, the power district's Cooper nuclear plant also remains under an usual event declaration and is still operating. River levels at Fort Calhoun recently stood at 1,006 feet above sea level and are not expected to exceed 1,008 feet above sea level – six feet below the maximum flood level anticipated in the plant's design. A number of flood control measures have been taken at both plants, including sandbag barriers and extra diesel shipments for emergency generators. In response to the Calgary Herald’s article, “Alberta transmission plan gold standard for Canada Infrastructure investment key to economic success” by Dina O’Meara, on June 27, 2011. Pierre Guimond, the head of the Canadian Electricity Association, called the Alberta government’s plans to build a non-constrained electricity system, “essential to the province’s future needs.” Mr. Guimond’s description would be more accurate if he referred to Alberta’s plan to build a non-constrained electricity system as a massive pork-barrel scheme that enriched only a handful of industry players – at the expense of every ratepayer of Alberta. Only an incompetent government would endeavour to build a non-constrained electricity system. Reference: http://www.youtube.com/watch?v=-iju6CU8bug to view some of the cabinet ministers who made this decision. Any private business attempting such folly would soon be bankrupt. No other jurisdiction in the world is attempting to build a non-constrained system, and for very good reasons. In planning for electricity systems there is a breakeven point for removing constraints. The cost of operating the system with constraints is always balanced, or measured, against the economic costs of removing the constraints. When the cost of removing a constraint is greater than the cost of operating the system with that constraint, no additional upgrades are required. Removing constraints beyond this breakeven point only increases the total costs to the ratepayer, and it makes the system less efficient! In summary, building a non-constrained system requires 10’s of billions of additional dollars to build unnecessary infrastructure that has no redeemable value for the rate paying consumers. The Alberta government’s plan to build a non-constrained electricity system is detrimental to the province’s future needs. It will add unnecessary costs and increase electricity bills. In reality, it will jeopardise Alberta’s competitiveness, and will result in job losses. "Every gun that is made, every warship launched, every rocket fired signifies, in the final sense, a theft from those who hunger and are not fed, those who are cold and are not clothed. . . . We pay for a single fighter plane with a half million bushels of wheat. We pay for a single destroyer with new homes that could have housed more than 8,000 people." "Experience shows that the most cost-effective form of temporary fiscal stimulus is direct government spending. The most obvious way to achieve that in 2009 was to repair and replace the military equipment used in Iraq and Afghanistan that would otherwise have to be done in the future. But the Obama stimulus had nothing for the Defense Department." Why is there a Media Blackout on Nuclear Incident at Fort Calhoun in Nebraska? Since flooding began on June 6th, there has been a disturbingly low level of media attention given to the crisis at the Fort Calhoun Nuclear Facility near Omaha, Nebraska. But evidence strongly suggests that something very serious has in fact happened there. On June 7th, there was a fire reported at Fort Calhoun. The official story is that the fire was in an electrical switchgear room at the plant. The apparently facility lost power to a pump that cools the spent fuel rod pool, allegedly for a duration of approximately 90 minutes. FORT CALHOUN NUKE SITE: does it pose a public risk? The following sequence of events is documented on the Omaha Public Power District’s own website, stating among other things, that here was no such imminent danger with the Fort Calhoun Station spent-fuel pool, and that due to a fire in an electrical switchgear room at FCS on the morning of June 7, the plant temporarily lost power to a pump that cools the spent-fuel pool. 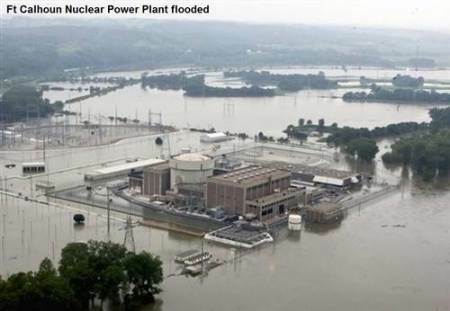 In addition to the flooding that has occurred on the banks of the Missouri River at Fort Calhoun, the Cooper Nuclear Facility in Brownville, Nebraska may also be threatened by the rising flood waters. As was declared at Fort Calhoun on June 7th, another “Notification of Unusual Event” was declared at Cooper Nuclear Station on June 20th. This notification was issued because the Missouri River’s water level reached an alarming 42.5 feet. Apparently, Cooper Station is advising that it is unable to discharge sludge into the Missouri River due to flooding, and therefore “overtopped” its sludge pond. Developments in Libya have raised fears among Egyptian analysts and political figures of the possible break-up of the North African nation into two warring halves. FOR THREE months, Libya has suffered internationally sanctioned air-strikes by the western Nato alliance, launched with the stated aim of supporting the ongoing popular uprising against the Muammar Gaddafi’s regime. Revolutionary forces based in Ben Ghazi now hold most of the country’s eastern half, while forces loyal to Gaddafi continue to control the country’s western half from the capital Tripoli. Yet the fact that Nato – despite its overwhelming air superiority – has so far failed to dislodge the Gaddafi regime has led many local observers to question the western alliance’s intentions. In 2008, I was arrested because a federal informant—Harold Turner—claimed, falsely, that I was planning to assassinate President Barack Obama by detonating a truck bomb at the Poff Federal Building in Roanoke, Va. I was never charged with this crime, however. Instead, I was charged with a series of free speech violations for publishing a website and magazine critical of the government. It took me 83 days to prove to the satisfaction of the feds that there was no assassination plot; it took them two and a half years to release me, acquitted. If they had a choice, I would still be in prison today. When I was arrested for speech offenses, I assumed I would receive bond. No one had ever been hurt, and the organization I was involved in, the American National Socialist Worker’s Party, had never been involved in violence. But, two days after my arrest, when I attended a detention hearing, I was ruled dangerous, based solely on my dangerous political views. After my detention, I was tortured by the Obama government. Initially, I was held in a small room under a bright light 24 long hours a day and subjected to sleep deprivation. I was denied showers, a shave, even a toothbrush, and it was in this condition—dirty and half dead from lack of sleep—that I was repeatedly taken to the courts and paraded before the news cameras. As an “act of violence,” necessary for opening a “terrorism enterprise investigation,” the 1996 statement that I was part of a group suspected in an arson was used. Though the government determined there was no bomb, I was in and out of “supermax” for the next two-and-a-half years. The conditions were brutal. After one seven-month stretch, the ligaments in my knees atrophied until I couldn’t walk for two weeks. The government knew I was innocent but didn’t want to admit they’d made a mistake. They pressured witnesses to lie to grand juries. Two were eventually convicted of that—Turner and another man, Timothy Bland, who used his FBI witness stipend to come to where I lived and try to find and murder my wife and daughter. By April 2010, the Obama administration knew I was innocent, but they had other uses for me. They wanted me to testify to a “neo-nazi domestic terrorist conspiracy” and perjure myself before a grand jury and Congress, implicating their political enemies. I refused and was returned to supermax. In January 2011, I was again approached and told that, if I would “cooperate,” I would be immediately released—all charges would be dropped and my record cleared. 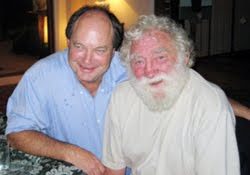 In April 2011, thankfully, I was acquitted of my fifth federal criminal case, and released regardless. This is what communism looks like in the United States. I was innocent and eventually acquitted. I was not involved in any plot to bomb any federal building or assassinate Obama. But, I was arrested, detained, tortured and held in solitary confinement because I refused to lie for the benefit of the federal government and falsely accuse myself and others of crimes. Several million Syrians throughout the country took to the streets on Tuesday, 21 June 2011. The crowds were particularly dense and impressive in Damascus Alep, Tartous and Homs. They turned out to express their support for the reform measures announced by President Bashar Al-Assad the previous day in the speech he delivered at the University of Damascus. The scale of the demonstrations, unprecedented in the history of Syria, are a token of the huge popular support enjoyed by the «regime», so widely demonized by Western media and political leaders. For the sake of comparison, at the peak of the anti-government rallies of the past three months, the overall number of protesters in the entire country amounted was between 150 000 and 200 000. The Syrians living in the country and whose children are serving in the army don’t swallow the disinformation dished out by satellite channels that portray them as being under the yoke of a dictatorship, where the police is torturing children and the army is bombarding villages. Instead, what they do know is that their country is prey to a destabilization plot at the hands of armed groups piloted from abroad, a prelude to a possible NATO aggression. In your opinion, who is telling the truth: the Syrian people or the Western media? Editor: The black hole above was originally a video showing a customer "foreclosing"on a branch of the Bank of America. It was posted on Monday, June 6 on this blog under the title "Sweet". The video was likely removed by YouTube's owner Google following a request from friends at the Bank of America. The XM25 Counter Defilade Target Engagement System has a range of roughly 2,300 feet - and is to be deployed in Afghanistan this month. The rifle's gunsight uses a laser rangefinder to determine the exact distance to the obstruction, after which the soldier can add or subtract up to 3 metres from that distance to enable the bullets to clear the barrier and explode above or beside the target. Soldiers will be able to use them to target snipers hidden in trenches rather than calling in air strikes. The 25-millimetre round contains a chip that receives a radio signal from the gunsight as to the precise distance to the target. Lt. Col. Christopher Lehner, project manager for the system, described the weapon as a 'game-changer' that other nations will try and copy. He expects the Army to buy 12,500 of the XM25 rifles this year. Lehner told FoxNews: 'With this weapon system, we take away cover from [enemy targets] forever. 'Tactics are going to have to be rewritten. The only thing we can see [enemies] being able to do is run away.' Experts say the rifle means that enemy troops will no longer be safe if they take cover. The weapon's laser finder would work out how far away the enemy was and then the U.S. soldier would add one metre using a button near the trigger. When fired, the explosive round would carry exactly one metre past the wall and explode with the force of a hand grenade above the Taliban fighter. Taliban leader Mullah Omar is now very likely to be returned to power in war-torn Afghanistan, as the U.S. prepares to pull up stumps and head home. After nearly 10 years of war the U.S. admits is time to do a deal and allow its enemy back into the government it formed. Editor: The Americans are now pulling out of Afghanistan, focusing instead on emerging conflicts in the Middle East and North Africa, after wasting billions of dollars and untold human lives. It is Vietnam all over. There was a winner in Vietnam, and there is one winner now: The Military/Industrial Complex, feeding off the misery and suffering of innocent people. HONG KONG (MarketWatch) — China’s era of rapid economic growth is drawing to a close, with a great moderation now inevitable, according to economist and author Richard Duncan. “I don’t think [China] will be able to achieve their current rates of growth in the next five years,” Duncan told MarketWatch in a telephone interview from Bangkok. Among reasons for the changes, he said, Beijing won’t be able crank up credit growth further without inflicting self-damage, nor is its export-led growth model viable as the taps tighten on worldwide easy money. Duncan believes it’s only government life-support in the form of deficit spending that’s kept the global economy from falling into a depression since the 2008 credit crisis, and if the slowdown spreads as he expects, China won’t have an easy time shielding its economy from a slump in consumer demand. The unemployment rate for African Americans is now at Depression-era levels and the government is having to deal with the poor job showing. One of the issues troubling Washington is unemployment among blacks, with the percentage of jobless at 16.2 percent higher than in the general population. In isolation, African American males fare even worse. The most recent figures show African American joblessness at 16.2 percent. For black males, it's at 17.5 percent. For black teens, it's nearly 41 percent. More war. Whatever happened to peace and prosperity? Turkey has agreed that NATO can turn its airbase in Turkey into a base for ground operations into Syria. The country will become the main base in the area for the US-led military alliance’s ground forces. NATO’s Secretary General Anders Fogh Rasmussen has said the alliance will transfer the bulk of its ground forces from a military base in the city of Heidelberg in southwestern Germany. Other troops will arrive from Spain to be placed at the Izmir Air Station in western Turkey, which will now become the centre for ground troops. Turkey has recently toughened its opinion on neighbouring Syria, where unprecedented civilian unrest has led to the deaths of many people. The operations conducted against Libya and Syria involve the same actors and strategies. However, their respective outcomes will differ since the situations in these countries are not comparable. Thierry Meyssan analyzes the semi-failure experienced by the colonial and counter-revolutionary forces, and predicts a pendulum reversal in the Arab world. The efforts to overthrow the Syrian government have a lot in common with what has been undertaken in Libya. However, the results are substantially different owing to each country’s social and political background. The project to break up these two States simultaneously was initially brought up by John Bolton on 6 May 2002 when he was serving as Undersecretary of State in the Bush administration. It’s implementation by the Obama administration nine years down the line - in the context of the Arab Awakening - is not without problems. A "conspiracy theory" no longer means an event explained by a conspiracy. Instead, it now means any explanation, or even a fact, that is out of step with the government's explanation and that of its media pimps. For example, online news broadcasts of RT have been equated with conspiracy theories by the New York Times simply because RT reports news and opinions that the New York Times does not report and the US government does not endorse. Bilderberg 2011: The Rockefeller World Order and the "High Priests of Globalization"
Happy 96th birthday, Mr. David Rockefeller! But I am sorry to say (or perhaps not so sorry) that while the mainstream media have “respected their promises of discretion,” the new media – the alternative media – have not. As you said yourself, “It would have been impossible for us to develop our plan for the world if we had been subjected to the lights of publicity during those years,” it seems that the “lights of publicity” are now descending upon your “plan for the world,” making it all the more difficult to come to pass. Indeed, “the world is more sophisticated,” but not because the world is ‘ready’ for your plan, but because the world is getting ready to reject it. While national sovereignty certainly has problems and is hardly something I would consider ‘ideal’, the “supranational sovereignty of an intellectual elite and world bankers” is about the worst scenario one could imagine. So as a birthday present to you, Mr. Rockefeller, I promise (and I am sure that I am speaking for a great many more than simply myself) that I will continue to expose your “plans for the world,” so that your dream – and our nightmare – will never become a reality. The light will shine, and in due time, the people will be ready to follow its path. Archibald (2006) predicted that climate during the forthcoming Solar Cycles 24 and 25 would be significantly cold. As at late 2008, the progression of the current 23/24 solar minimum indicates that a severe cool period is now inevitable, similar to that of the Dalton Minimum. Adecline in average annual temperature of 2.2°C is here predicted for the mid-latitude regions over Solar Cycle 24. The result will be an equator-ward shift in continental climatic conditions in the mid-latitudes of the order of 300 km, with consequent severe effects on world agricultural productivity. As the West's war against Libya has entered its fourth month and the North Atlantic Treaty Organization has flown more than 11,000 missions, including 4,300 strike sorties, over the small nation, the world's only military bloc is already integrating lessons learned from the conflict into its international model of military intervention based on earlier wars in the Balkans, Afghanistan and Iraq. What NATO refers to as Operation Unified Protector has provided the Alliance the framework in which to continue recruiting Partnership for Peace adjuncts like Sweden and Malta, Istanbul Cooperation Initiative affiliates Kuwait and the United Arab Emirates and Mediterranean Dialogue partnership members Jordan and Morocco into the bloc's worldwide warfighting network. Sweden, Jordan and the United Arab Emirates also have military personnel assigned to NATO's International Security Assistance Force in the nearly ten-year-long war in Afghanistan. In the first case, troops from the Scandinavian nation has been engaged in their first combat role, killing and being killed, in two centuries in Afghanistan and has provided eight warplanes for the attack on Libya, with marine forces to soon follow. AP. Thousands of supporters of Syrian President Bashar Assad carry a 2,300-metre-long Syrian flag in a demonstration in Damascus on Wednesday, June 15. The United States is to expand contacts with Syrians who are counting on a regime change in the country. This was stated by U.S. State Department official Victoria Nuland. "We started to expand contacts with the Syrians, those who are calling for change, both inside and outside the country," she said. The destabilization of Syria and Lebanon as sovereign countries has been on the drawing board of the US-NATO-Israel military alliance for at least ten years. Since coming to Tripoli to see first hand the consequences of the NATO military operations, it has become clear to me that despite the ongoing silence of the international press on the ground here in Libya, there is clear evidence that civilian targets have been hit and Libyan civilians injured and killed. This Tuesday morning I was taken from my hotel across the city through its bustling traffic to the Al Fateh University. On 9 June, Dean Ali Mansur was outside in the parking lot. The sky was blue like Carolina blue. The clouds were white--no chemtrails in sight. Puffy and white. Dean Mansur was visibly upset. It seems that some of the young men at Al Fateh University, Campus B were fighting over girls. He explained to me that Libyans are hot blooded. With a gleam in his eye, he whispered to me that girls are important to young men. Yes, that was clearly evident today as I approached the campus of Al Fateh University, Campus B, formerly known as Nasser University. Under the trees, throughout the lawn as we approached the campus gates, I could see young men and women talking to each other, talking on cell phones, walking to and fro, assembled, probably talking about the latest campus news--whatever that might be. Today, on the Al Fateh campus, life was teeming. Student life seemed vibrant. This feel and ambiance of this university was not unlike the hundreds of other universities that I have visited in the US and around the world. Libyan boys and girls are like ours. My son would easily fit into the life of this university. The campus seemed vibrant, too. Cranes everywhere indicated a healthy building program, adding new buildings to enhance the student learning environment. Despite the students' fracas, Dean Mansur had everything to be happy about as he saw his university becoming bigger, better, and stronger. Her told me that they had even signed an agreement with a British university to begin programs in the English language. Not English studies, Dean Mansur emphasized, but an entire curriculum of study taught in the English language! Of course, he entoned, that's all disappointingly ended now. Al Fateh University, Campus B consists of about 10,000 undergraduates, 800 masters degree candidates, and 18 Ph.D. students; 220 staff, 150 ad hoc professors, 120 employees. It has eight auditoriums, 19 classrooms, 4 extra large classrooms. It also has a rural campus at Al Azizia where 700 students are taught and are a part of the university system. Dean Mansur compares himself to a mayor because he has so many responsibilities presiding over a large community of students engaging in a rich and vibrant academic life. Dean Mansur told me that life at the university and, for him personally, changed forever on the afternoon of Thursday 9 June, 2011. He recalled that the university opened as usual around 8:00 am and was to close later that evening at about 8:00 pm. Thursday, 9 June, he thought, was going to be just like any other day, except for the fracas over the girls that had cleared the campus of many of the students who didn't want to have any part in the fighting. So, outside in the campus parking lot, Dr. Mansur told me he was preoccupied thinking how he would deal with the disciplinary issue before him. Then, out of nowhere and all of a sudden, he heard something loud up in the sky. He said it began out of no where, a loud roar. Then a frightful high pitched the hissing sound. He said he looked up into the sky and couldn't hardly believe his eyes: something shiny up in the sky appeared dancing in front of him. He said it moved about like an atari game or something. It danced and zig-zagged all over the sky. He said he was transfixed on the object for what seemed like minutes but in truth must have only been seconds. Up and down and sideways it raced in the sky and then, without warning, it just came crashing down into the ground nearby. It was a NATO missile. Tragically it had found its target: Al Fateh University, Campus B. Dean Mansur said he saw one missile, lots of fire, lots of different colors all around it, and then a huge plume of smoke. He saw one missile, but heard what seemed like many explosions. He said he now can't honestly say how many. Dr. Mansur said the force and shock of the blast held him frozen in his place. He said his heart stopped for a moment. He wasn't afraid, just frozen. He didn't run away; he didn't cower; he said he just stood stupefied. The force of the blast cracked thickened concrete wells, shattered hundreds of windows and brought numerous ceilings down in lecture halls. Whether it was a wayward Tomahawk Cruise Missile or a misdirected laser guided bomb, no one knows. His immediate thoughts were for the thousands of his students in the university and for his own three children who study there. After about 30 minutes, the Libyan press came to see what had happened. the University President and other officials of the school all came. But to Dr. Mansur's surprise not the international press. The media saw the widespread structural damage to many of the buildings, all of the windows blown out in every one of the eight auditoriums. Doors blown off their hinges. Library in a shambles. Books and debris everywhere. The campus mosque was damaged. Glass heaped up in piles. Some efforts at cleaning up had begun. Dr Mansur says that they have kept the university, wherever practicable, in much the same condition as it was on the day of the attack. Except that the main classroom area that students work in has been cleaned and will be renamed the Seif Al-Arab auditorium complex in memory of Muammar Qaddafi's son murdered on April 30, 2011 in his home by NATO bombs. On Thursday, NATO missiles. Friday and Saturday are considered the weekend here. Sunday, Monday, and Tuesday, the students are back to school undaunted by the bombing. In many of the classrooms I saw today, students were taking final exams amid the debris. As I walked around the campus, one male voice shouted out and spoke to me in Arabic: "Where's Obama?" I've always wondered if the politicians who regularly send our young men and women away to war and who regularly bomb the poor peoples of the world have ever, themselves, been on the receiving end of a Cruise Missile attack or placed themselves and their family at the mercy of a laser guided depleted uranium bomb. Maybe, just maybe I thought, that if they had experienced first hand the horror of a NATO attack on a civilian target they might just stop and question for a minute the need to dispatch our armed forces to attack the people of Libya. I didn't want to disturb the students taking exams so I found some students standing outside not taking exams to talk to. I asked them if they had anything to say to President Obama. One professor, a woman, spoke up readily and said, "We are working under fire: physical and psychological." One student spoke up and said that President Obama should "Free Palestine and leave Libya alone." He continued, "We are one family." More on that later, but briefly, every Libyan is a member of a tribe and every tribe governs itself and selects its leaders; those leaders from all of the tribes then select their leaders, and so on until there is only one leader of all of the tribes of Libya. I met that one tribal leader yesterday in another part of Tripoli and I am told he is the real leader of this country. He presides over the Tribal Council which constitutes Libya's real policymakers. So when the young man said "We are one family," that is actually the truth. Dr. Mansur, trained in the United States and spoke fondly of his time in the US and the many friends he made there. He is proud of his students and the richness of his university's community life. He was just like any University Dean in the United States. In my view God intervened on Thursday 9 June, 2011. On the day that the missile struck, not one student was killed. It could so easily have been different. It could have been a catastrophe taking the lives of hundreds of teenagers. I am told that in the surrounding area immediately outside the university others were not so fortunate. Reports are that there were deaths in the nearby houses. It's a funny thing about war. Those who cause war become oblivious and removed from its consequences; they seem happy to inflict harm on others and become numb to its ill effects while war's victims find a way to normalize the abnormal and live with the constant threat of death and destruction. After visiting Tripoli, I remain as opposed to war as ever before. The students at Al Fateh University continue their studies despite the siege that their country is under. And oh, that second group of students that I randomly spoke to? I asked them how much they pay for tuition. They looked at me with puzzled faces even after the translation. I asked them how much they pay for their books. Again, the same puzzled face. Tuition at Al Fateh University is 16 dinars per year--about $9. And due to the NATO embargo on gasoline imports, the school now has started 10 free bus lines to its surrounding areas in order to make sure that the students can get to school, free of charge. I told them that I was about to enter a Ph.D. program in the US myself and that I needed tuition and book money costing tens of thousands of dollars. I continued that my cousin is in debt $100,000 because she went to the schools of her choice and received a Master's degree. They said to me, "We thank Muammar Qaddafi. Because of Muammar Qaddafi we have free education. Allah, Muammar, Libya obes!" Well as for NATO, they still cling to the chimera that their strikes are against military targets only and that theirs is a "humanitarian intervention." I'm still waiting to find evidence somewhere in the world that bombing poor civilian populations of the Third World from the air is good for their voting rights, democracy, medical care, education, welfare, national debt, and enhancing personal income and wealth distribution. It seems clear to me that complex life issues require more complex intervention than a Cruise Missile could ever deliver. Washington DC – US Special Forces units based at Fort Hood, Texas, have been told to prepare for deployment to Libya no later than July, according to a US military source. The Special Forces would then be followed in September or October by heavy armored units of the First Cavalry Division, currently located in Iraq and Afghanistan, along with other components of the US III Corps. This report was broadcast today on the Alex Jones radio program, and comes against the backdrop of escalating US destabilization operations against Syria and sharpening US condemnation of Damascus and its ally, Tehran. Observers point out that US Special Forces have been in Libya since February. They also note that, while the Libyan destination is highly plausible, some of these units may also find themselves on the way to Yemen, Syria, or beyond. Another anonymous military source speaking on the Alex Jones broadcast reported that US stocks of depleted uranium (DU) munitions are currently very low. This may be the reality behind outgoing Defense Secretary Gates’ complaint last week that NATO is “running out of bombs” in Libya, and similar remarks by French NATO General Stephane Abrial in Belgrade. A source at US Central Command (CENTCOM) confirmed that US forces are being lined up for new foreign missions, and added that his unit had recently processed two deceased US Army soldiers and three deceased US civilians, possibly mercenaries. The source attributed these cases to Libya, although US operations in Libya are widely thought to be controlled by the new US African Command (AFRICOM). These reports should be taken together with the energetic protests from the Russian Foreign Ministry over the presence of the US Aegis cruiser Monterrey (a vessel with anti-ballistic missile capabilities) in the Black Sea, along with the arrival of the amphibious assault ship USS Bataan off the coast of Syria. The sun unleashes a powerful solar flare from the right side of its disk on June 7, as seen in this image from NASA's Solar Dynamics Observatory. Scientists say the sun is heading toward a peak in its activity cycle in 2013 or so, but may enter a period of hibernation afterward. The latest long-range space forecast predicts a prolonged drop in solar activity after the next peak — and scientists say that might cool down temperatures here on Earth, or at least slow down the warming trend a bit. Scientists have studied sunspots and the sun's 11-year activity cycle for 400 years, and they're getting increasingly savvy about spotting the harbingers of "space weather" years in advance, just as meteorologists can figure out what's coming after the next storm. Storms from the sun are expected to build to a peak in 2013 or so, but after that, the long-range indicators are pointing to an extended period of low activity — or even hibernation. "This is important because the solar cycle causes space weather ... and may contribute to climate change," Frank Hill, associate director of the National Solar Observatory's Solar Synoptic Network, told journalists today. Editor: Peter Dale Scott, a former Canadian diplomat and English Professor at the University of California, Berkeley, is the author of Drugs Oil and War, The Road to 9/11, and The War Conspiracy: JFK, 9/11, and the Deep Politics of War. His most recent book is American War Machine: Deep Politics, the CIA Global Drug Connection and the Road to Afghanistan. Peter Dale Scott is a Research Associate of the Centre for Research on Globalization (CRG). Canada has now been co-opted into another military mess on the other side of the world. Our recently elected parliament has already proven its profound ineptitude in failing to examine the facts before wasting more Canadian lives and taxpayers' money in yet another exercise in colonialism. I wrote in a previous article about why America’s manufacturing sector, despite record output, is actually in very deep trouble: record output doesn’t prove the sector healthy when we are running a huge trade deficit in manufactured goods, i.e. consuming more goods than we produce and plugging the gap with asset sales and debt. But this analysis of the problem only touches the quantitative surface of our ongoing industrial decline. Real industries are not abstract aggregates; they are complex ecosystems of suppliers and supply chains, skills and customer relationships, long-term investments and returns. Deindustrialization is thus a more complex process than is usually realized. It is not just layoffs and crumbling buildings; industries sicken and die in complicated ways. To take just one example, when American producers are pushed out of foreign markets by protectionism abroad and out of domestic markets by the export subsidies of foreign nations, it is not just immediate profits that are lost. Declining sales undermine their scale economies, driving up their costs and making them even less competitive. Less profit means less money to plow into future technology development. Less access to sophisticated foreign markets means less exposure to sophisticated foreign technology and diverse foreign buyer needs. an F-15E Strike Eagle at 26 thousand feet over the east coast flying protective combat air patrol for the launch. The cost of the U.S. campaign in Libya is set to exceed the $750 million Pentagon estimate set out in March, according to a leaked Department of Defence Memo. The 'eyes-only' DoD dossier said the U.S. had already spent $664 million in Libya by mid-May - a running cost of $60 million a month since the bombing began in March. He is an outspoken supporter of US supremacy and is voicing a sense of frustration in the article below. Evidently, the Oligarchy is not very happy about this article as it was promptly pulled off mainstream news sites today. Secretary of Defense Robert Gates has finally said publicly what everybody has assumed for a long time: NATO is dead. It's not dead in the sense that it doesn't exist anymore, but it is definitely moribund, and even if there continues to be an organization called "NATO," it will have no purpose other than the perpetuation of the disused bureaucracy that has been the sole reason for its existence in the last few decades. Originally designed to bind the United States and Western Europe into a credible deterrent against a hostile Soviet Union, NATO's last useful gasp was in Bosnia, but that was almost two decades ago, and the Balkans had little to do with the Cold War anyway. With the demise of the Communist bloc, NATO lost much of its purpose. Under normal circumstances, there are only two things that make sense for such an organization: either find another use for it or dissolve it. We did neither. Some have said that the existence of NATO after the dissolution of the Warsaw Pact made an already paranoid and politically unsophisticated Russia almost as wary as the USSR had been, and we certainly drove the Russians crazy by planning to emplace missiles in their former satellite countries. In any event, NATO became a useless vestigal organ, costing us money and other resources but accomplishing nothing to the benefit of our allies or us. And because we are the chumps we are, we are paying most of the freight. NATO's irrelevance goes beyond the lack of a central mission. Secretary Gates' complaint is that Europeans don't want to support it, and they don't. Like unsupervised adolescents, they have been busy experimenting with other things, such as coalescing into an ill-conceived economic union that had no chance of success as long as there was no sovereignty to control it. As a result, Europe got into its own economic mess all by itself, with Germany---full of grandiose, half-baked ideas as usual---now hoisted with its own petard and feeling the financial pain of having to support others in the EU. Germany is not alone among our allies who are happy to have NATO around---as long as the U.S. pays for it. The organization has been the vehicle for getting involved in the Libyan civil war, but that mission was poorly and hastily conceived, it lacks military objectives, and it is being executed in the most muddled and discontinuous fashion. Meanwhile, the United States keeps begging for more NATO help in Afghanistan, but nevertheless our allies have been bailing out of Southwest Asia for some time. Not NATO's finest hour. The alliance's disutility is also caused by other, more sweeping, changes, and they signal more than just the demise of some useless extra-governmental construct. NATO's leader, the United States, has been losing influence nearly everywhere, and our international reach, once very long indeed, is now dangerously short. With a rapidly growing economy and independent-minded leadership, our own NATO ally, Turkey, is wielding its strength in the region, and the majority party's religious bent may be emblematic of the gulf between us. The United States is in a difficult position: we look weak whether NATO continues to wander aimlessly or we dissolve it. That should demonstrate as much as anything that, no matter how useless the organization is, it's not NATO's fault that things don't go our way, and we should heed Cassius's observation that the fault is not in our stars but in ourselves.